Then she went on to create the blog Trash is for Tossers where she recorded meticulously how she made the gradual change to a waste-free lifestyle, what are the alternatives, she published recipes for handmade toothpaste, answered to people’s questions, and inspired hundreds of people to take concrete action and reduce their environmental footprint. 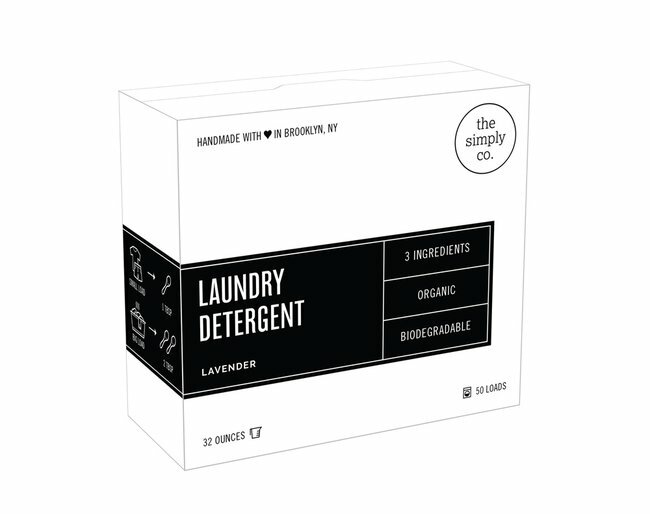 And in 2014, because of the rising interest of the blog’s readers in where they could buy the detergents and products Lauren uses, she decided to start the company Simply Co., that has already produced its first 100 % natural product – a washing detergent that contains only 3 environmentally-friendly ingredients! 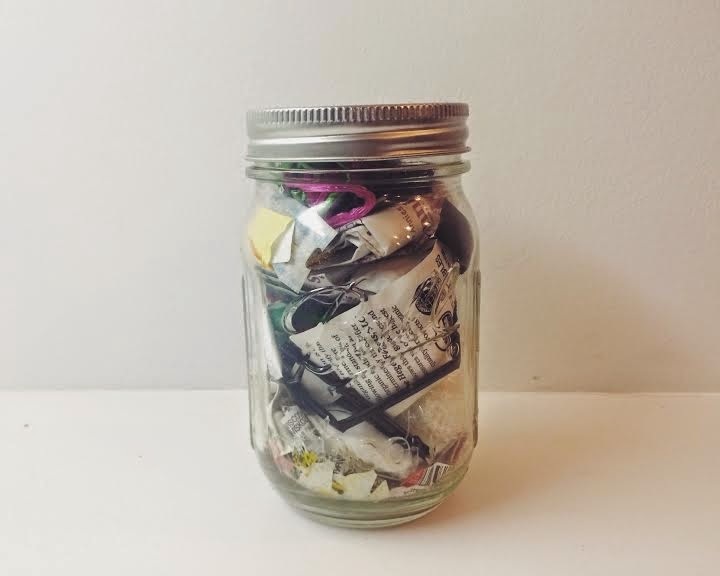 She organized a Kickstarter campaign to try to get crowdfunding. The campaign was amazingly successful, collecting the initial target of 10 000 USD in just 48 hours! 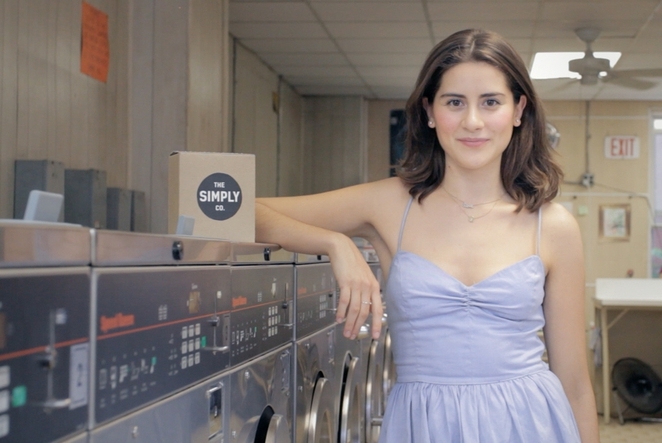 You can watch the Kickstarter campaign video to get a taste of Lauren’s business idea. You have a unique chance to listen to Lauren’s presentation, organized by Junior Achievement Bulgaria, and to ask her all the questions about sustainable lifestyle that you’ve always wanted to ask! You will get details on how to log into HP My Room for the presentation at the e-mail address you specified in the registration. All you need is a computer with Internet, headphones and microphone! 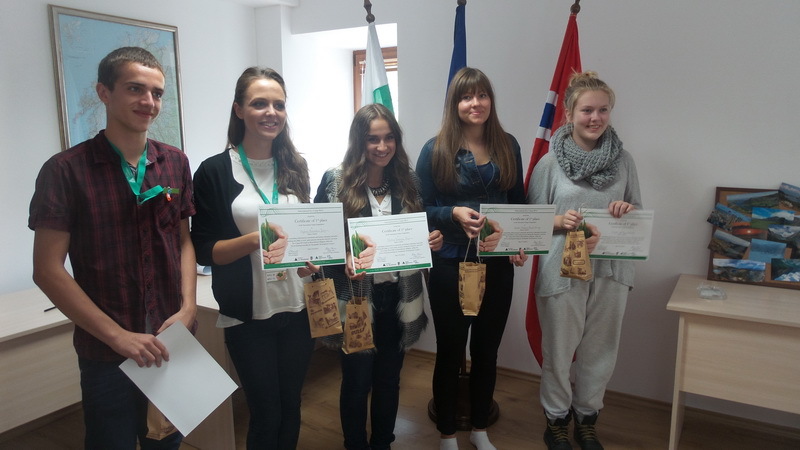 Yesterday, October the 7th, Junior Achievement Bulgaria held an Innovation Camp and presentations with the participation of students from Bulgaria and Norway in front of a jury in the Norwegianhouse in Momchilovtsi village, Rhodope mountain. The challenge for the participants in the Eco camp was to develop environmental business ideas that have the potential to inspire the ordinary people around the world in their communities to take specific actions to reduce the pressure on the environment of the planet. The participants had to prepare a presentation to explain their idea and for this purpose they had the opportunity to benefit from the aid and the advice of business consultants and mentors from Junior Achievement Bulgaria, who have experience in green business and entrepreneurship. Iliyana Lazarova - professional in the field of renewable energy and sustainable development and project and communications manager of the innovative platform GreenHero.com. Aglika Yordanova - young ecologist and advocate of sustainable development, project manager and author of articles on GreenHero.com. The jury rated the participants according to several criteria, most attention was paid to whether the idea is likely to be realized and if they have realistic financial plans and distribution channels and marketing. Other criteria were commitment to the topic, degree of innovation, scale of the project, presentation and structuring of the business idea, presentation skills of the participants and adequate answers to the jury questions. During the competition, the students were divided into mixed teams with three participants from Bulgaria and two from Norway. They had to quickly find a solution to the challenge. First with 266 points from 300 possible were the Bee Keeper team, who proposed the concept of an online platform oriented to motivate ordinary people to support efforts to limit the destruction of bees in the world.The team will develop a platform where people around the world will be able to "adopt" bees and hives by donating money for a year and after that they will receive a special certificate.This certificate will enable them to buy bee products at a discount from the catalog of the platform.The innovative startup on the other hand makes a connection with manufacturers of bee products that will be displayed by the platform, and people will choose who they want to support. The website will provide information about the problem with bees.So the team hopes to achieve two main effects - on the one hand contribute to the increase in the population of bees in the world and on the other hand, support the producers of bee products. Second, with 248 points were the Eco Corner team, who proposed an innovative concept of eco restaurant, built and furnished from natural and recycled materials, producing its own electricity through solar panels and purifying water with a special system.The restaurant serves dishes made only from natural products which will be supplied by the manufacturers of the local community. Young entrepreneurs will organize monthly training courses in the restaurant, where customers can visit to find out how to apply the principles of sustainable development in their own lives. The first restaurant will be opened in Sofia, and the potential for more in the country and all over the world, is big enough. Entrepreneurs rely to gain initial funding through platforms for crowdfunding as Kickstarter and Green Hero. Third with 244 points were the Eco Gym team. Their idea is to motivate people who regularly go to the gym to do something good for the environment, without having to change somehow their regular workout. The team will create a gym, where fitness equipment will be placed (such equipment already exists on the market) that makes it possible to store the energy from the mechanical movements during the workout and convert it into electricity. In front of the gym a big dashboard will be placed that will show the amount of electricity produced by the customer during the month and will also calculate how much CO2 emissions are saved by their commitment. The most active people doing exercises on these devices will receive special discounts. The project partners Junior Achievement Bulgaria and Ungt Entreprenorskap Sogn og Fjordane will support the best three teams so that they can continue to develop their ideas in the coming months, with access to mentors and information options for further funding. 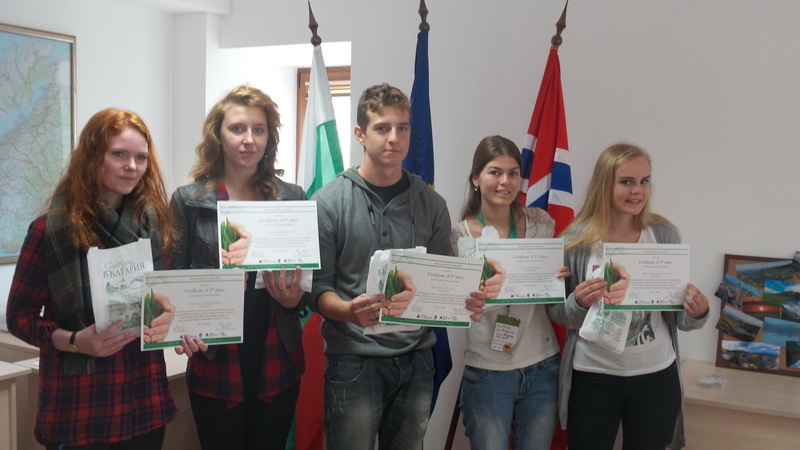 The competition was a final element of a week-long Eco camp for 40 students from Norway and Bulgaria. The special guests of the Eco Camp's official opening at the Norwegian House in Momchilotvsi on October 2nd were the Charge d'Affaires of the Royal Norwegian Embassy Tale Kandal, the Secreatary of Smolyan Municipality Momchil Nikolov and the Mayor of Momchilotvsi Maria Nikova. The participating students who were aged 15-19 took part in many practical activities aimed at improving their skills to create sustainable businesses. They visited organic farms near the village Momchilovtsi, participated in team games and team building adventure "Treasure Hunt". The final challenge was the innovation camp. The project partners will also prepare a report with recommendations aimed at educational institutions in Bulgaria, which will justify the need for practical oriented education in entrepreneurship and sustainable development to find its place in the school programs. The online video course begins on April 1, 2014! 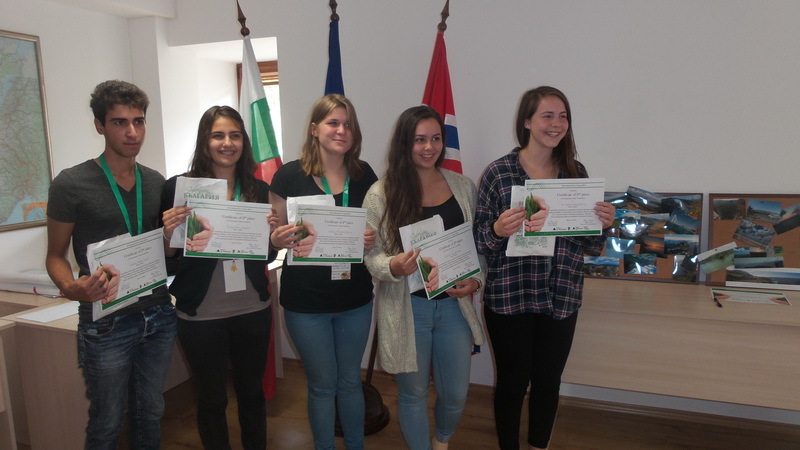 Over the course of three months the 80 participating students from Bulgaria and Norway will take part in an interactive educational series of lectures prepared by the Junior Achievement team with the help of external sustainability experts. Apart from instructional videos, the course will feature lots of other additional reading material and most importantly - teamwork assignments. Students will be encouraged to work in international teams. There will also be a discussion board where everyone will be invited to share their views on the videos and materials they have read. To complement the learning experience, quizzes will be posted every two weeks to check the participants' basic understanding of the subject matter. As a final assignment, students will have to develop their own green business idea and present it to the course instructors. For participants who would like to get involved in the one-week Eco Camp in Bulgaria in October 2014 it will be very important to contribute actively to the discussions and show involvement and high motivation to learn more about sustainable development and green business. This will be a leading criterion when selecting the 40 participants for the Eco Camp (24 from Bulgaria and 16 from Norway).